We provide a range of Dust Collection and Extraction systems, primarily for use with the Comco Micro-abrasive blast systems we supply, although, if you need any kind of dust extraction equipment, please contact us. Depending on your requirements, we can either provide a suitable system including hoses, ducting and clips you may need (or put you in contact with someone who can help). We also offer air dryers and can advise or supply air compressors if required. If you need to know more, please contact us on +44 01460 61791 or email us. 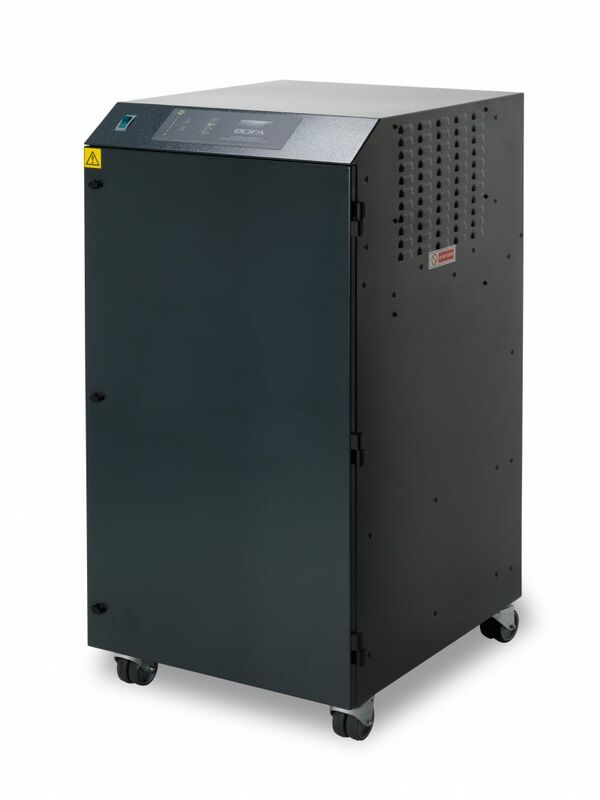 For low volume, occasional to moderate use dust extraction, we have the NEW DP400, a small, quiet and lightweight dust collector with a built in HEPA filter to provide sufficient extract for use with a Microblaster. Perfect for lower use applications. The compact DP400 measures 27cm wide x 27cm deep by 50cm high so is perfect for sitting next to a Comco Workstation or underneath a bench. The brushless pump is designed for continuous use and running with a minimum 30,000 hours use before servicing. DustPRO 500 dust extraction systems combine extremely large filter capacity with high airflows and pressure. The DP500 is ideal for heavy duty applications that generate large amounts of particulate dust or where high dust extraction flows are required . Each system benefits from Automatic Flow Control. This feature enables the end user to set the required airflow for the application. The unit will then maintain this airflow throughout the life cycle of the filter. Developed for the safe and effective removal of dust, swarf and particulates generated during processes such as drilling, routing, mechanical engraving, grinding and turning. One of the main problems with other dust extractors relates to the type of pump used. Most have brushed motors which are noisy in operation and frequently burn out, with the average life of brushes being around 800 hours. 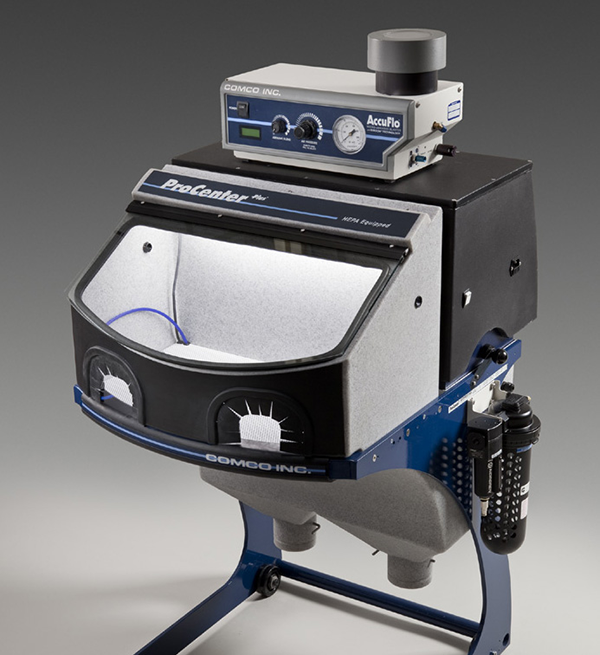 The pump used in the DustPRO 500 dust and fume extraction system is brushless and designed for continuous running, which can exceed 30,000 hours use before servicing. The DustRPRO range generate high vacuums and are quiet in operation, whilst having a large capacity bag filter, which is high efficiency. The unit measures 1220mm high by 600mm wide by 770mm deep. We can also offer even larger systems where required and can even offer custom solutions when necessary. The NEW CTR-200 ProCenter from Comco is designed to be an all in one, integrated unit that combines the work cabinet and dust collection system in an ergonomic and compact unit. The system features a compact design along with an automated shaker and hopper. 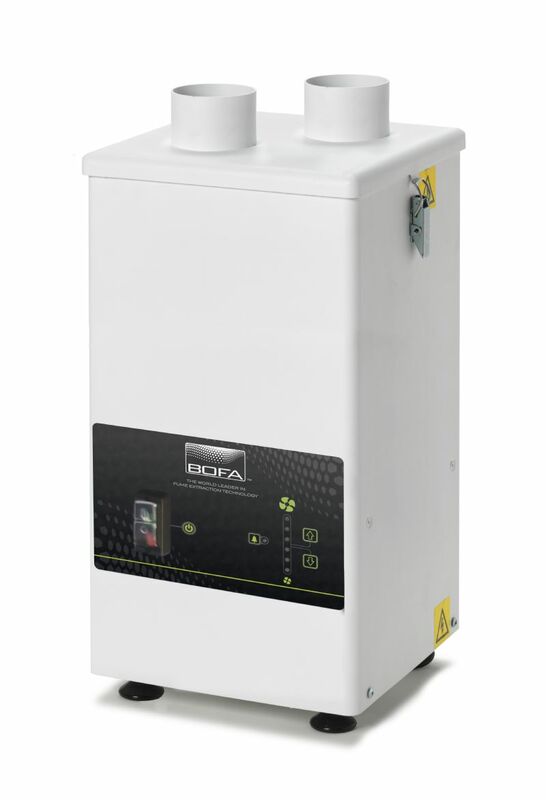 The system can be adapted for all the range of Microblasters and the dust collection system is up to 50% more efficient than standard dust collectors. A built in air dryer and easy to empty hopper add to the older design on the Procenter. The new model also uses a downdraught type design and includes an additional blow off hose to blow off any excess abrasive once you have finished processing your parts. The whole range of micro-blasters from the MB1000 up to the PowerFlo systems can be situated on top of the workstation to allow maximum operator comfort and efficiency whilst maintaining control over the Microblasters. NEW The Pro-Center is also available with ESD control for static sensitive applications : The CTR201.